From the wrong size, wrong colour to it being different to the version you saw on screen – at some point, we’ve all had the experience of returning a product purchased online. The question is, are you a ‘serial returner’? This is where the ‘Slow Shopping’ trend comes into play, offering an alternative to overly fast and sometimes, thoughtless purchasing attitudes, an emerging issue facilitated by online shopping. Because we now shop more regularly at any time or way that we want, retailers have caught on to the fact that not every shopping experience needs to be a high powered one. Nike’s latest store in Melrose California,’Nike Live’ is launching a retail experience that merges digital and physical shopping experiences with the promise to further personalise the NikePlus Member in-store journey. 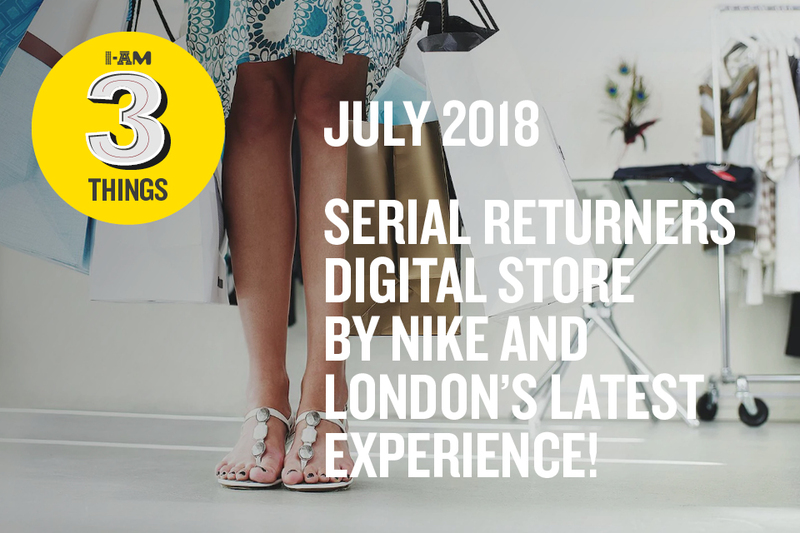 As members enter Nike Live, they gain access to various features on the Nike app: the ability to scan barcodes for product information and availability to ‘Reserve’, a click and collect experience with in-store Digital Lockers as pick up points. Followed by the opportunity to book one to one sessions in the Dynamic Fit Zone, featuring a lounge, styling room and a Nike trial zone to test the sportswear. ’NikePlus Unlocks’ app feature, allows members to unlock rewards such as fitness classes, music on Apple and VIP experiences. Other digital features include ‘Swoosh Text and Curb Services’ a two-way conversation through SMS with a store associate, allowing customers to text associates when their nearby the store to come and complete a return, exchange or purchase. This pilot store concept is a perfect example of the Attitude Flex retail trend, all about rethinking the store design through the product offer and customer service, all accommodating the different shopping attitudes. If you are in the city of London for most of the summer instead of a long luscious holiday abroad, do not worry, you can still getaway! Step away from the urban vibes with the latest ‘Allotment’ set to open the 25th of July, in East London. “The Beautiful Allotment” is a new drinking and dining oasis, designed as a stunning pocket of the British countryside. Located in the Geffrye Museum’s Victorian gardens, Hoxton, the space features day beds, cocktail bars and BBQ areas within a garden-like environment. Drinks are created to be fresh, seasonal and sustainable, along with the food that is locally sourced. Other features include their special events, such as movie night screenings, workshops and live music, all taking place throughout the summer. Three Things blog posts covers news-bits that showcase an impact on PEOPLE along with INSPIRING works in design, strategy and concepts followed by entertaining new EXPERIENCES. In other words the I-AM ethos.